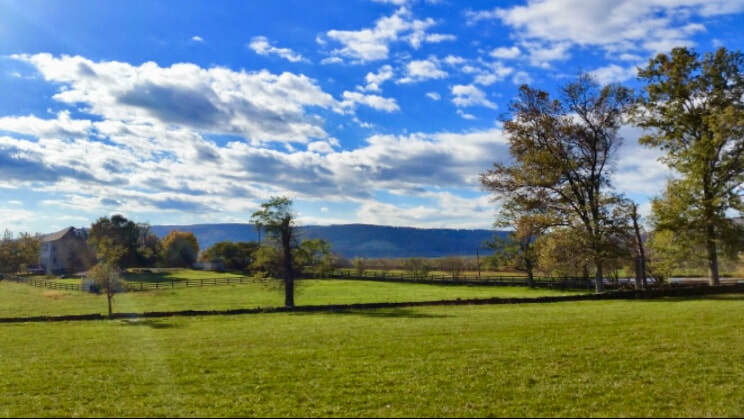 Sunpower Farm is located in Round Hill, Virginia where we provide a great selection of fresh farm products & private horse boarding services. We raise lambs, naturally, humanely and sustainably. Our 100% USDA grass fed lambs live a healthy outdoor lifestyle, roaming over 88 acres of beautiful Virginia farmland. We have a steady supply of farm fresh chicken and duck eggs available from happy birds! ​They are never in cages or contained inside a barn. Our birds scratch and forage for food outside naturally. A clean diet means they produce healthy eggs. At SunPower Farm we also provide Equine Boarding services for the equestrian looking for an experience beyond the average facility. We are unique because we permit your choice of trainer, veterinarian and farrier. ​We have over twenty large pastures ranging from 5-25 acres each with run-in sheds as well as 10 over-size stalls available to boarders. We offer many exceptional amenities and have a friendly, relaxed environment with a current group of boarders that ride various disciplines. All are welcome! We are dog lovers, and after realizing what goes into most commercial pet foods we wanted to create something healthier and tastier for our dogs Basil and Bear. "Sun Dog" is our all-natural ground lamb dog food that your best friend will love! We let you choose yummy add-ins like veggies, starches and other proteins because we figure you know your dogs better than anyone. Our dog food comes in easy-to-serve packages that can be refrigerated or frozen. Subscribe to the Sunpower Farm Newsletter for news, coupons and free offers!